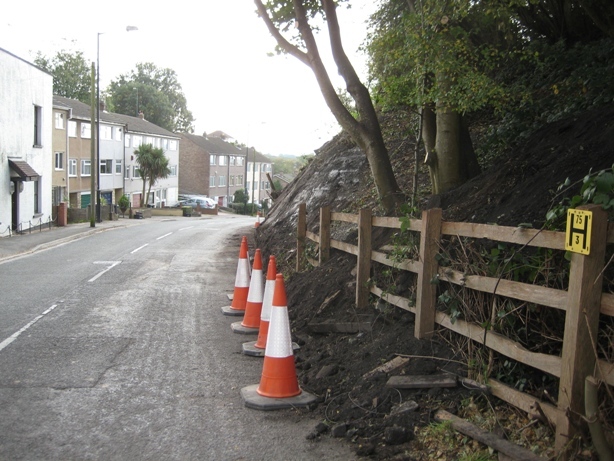 Works were carried out from 11th to 13th October 2010 to address the problems of over-hanging trees and earth falls along Troopers Hill Road. 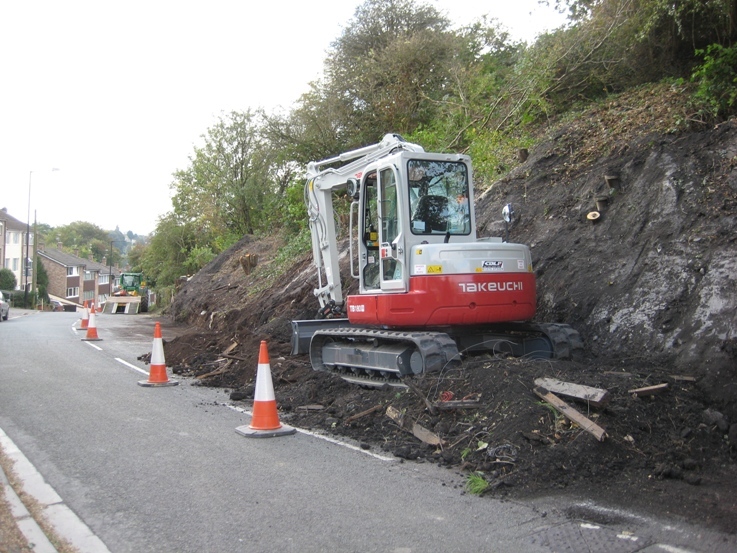 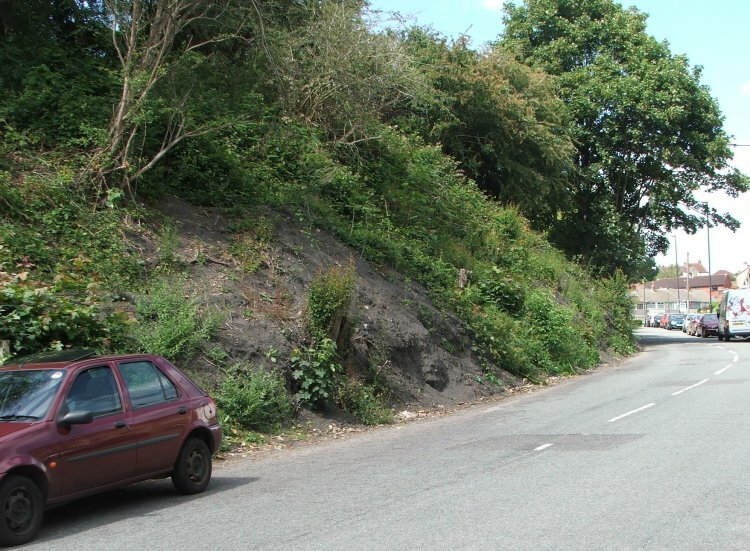 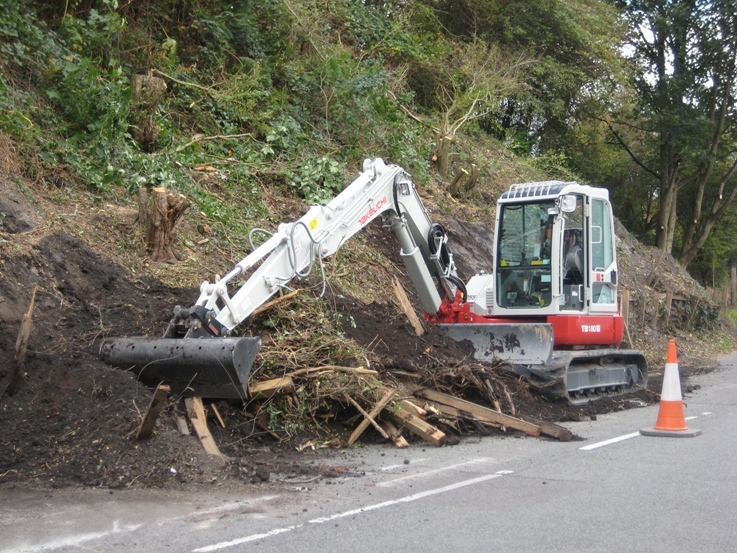 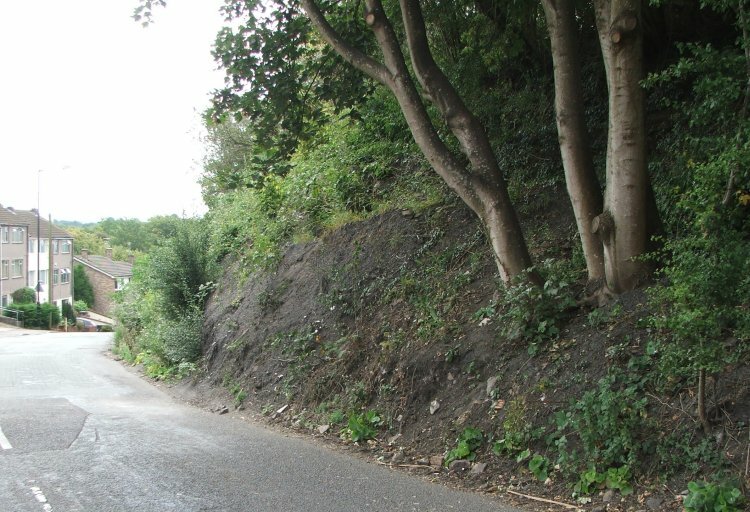 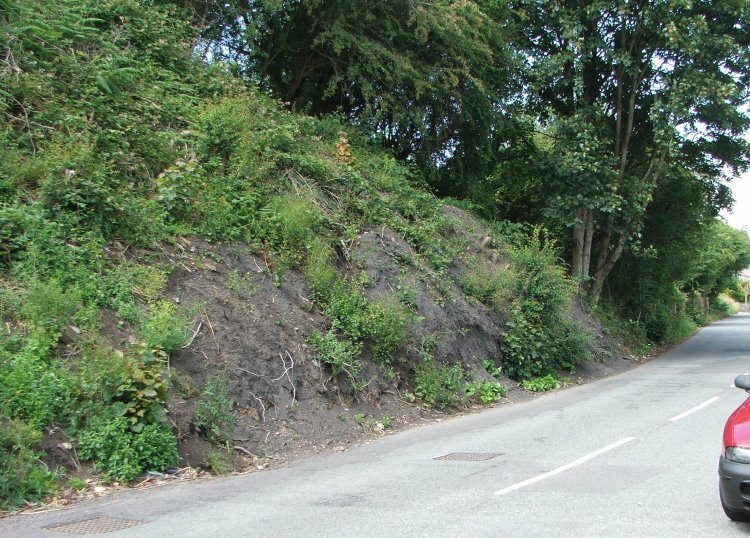 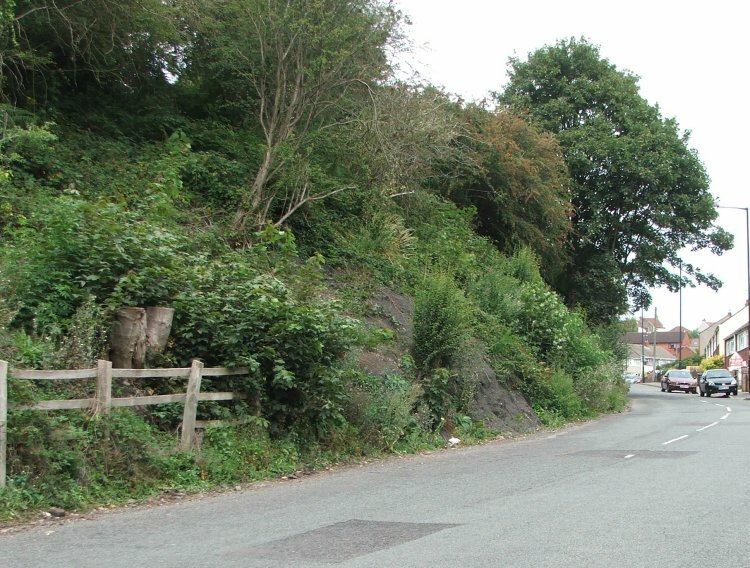 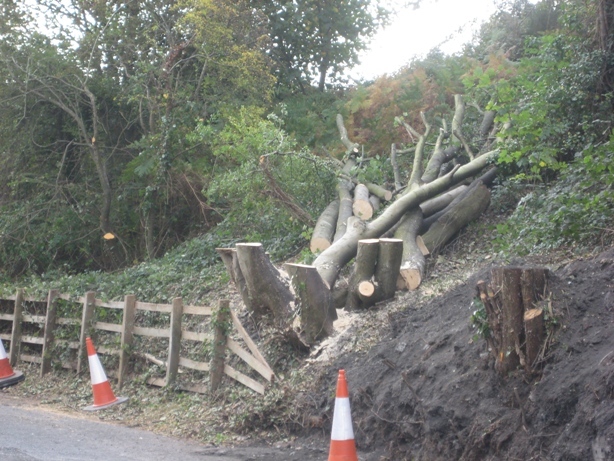 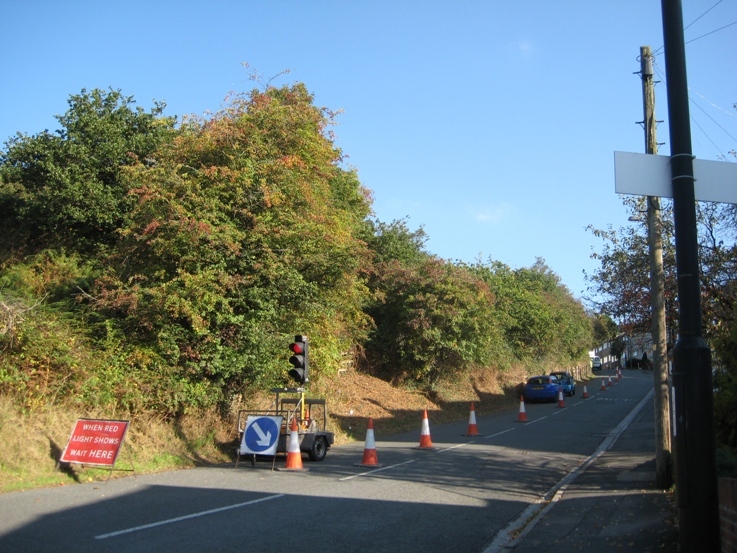 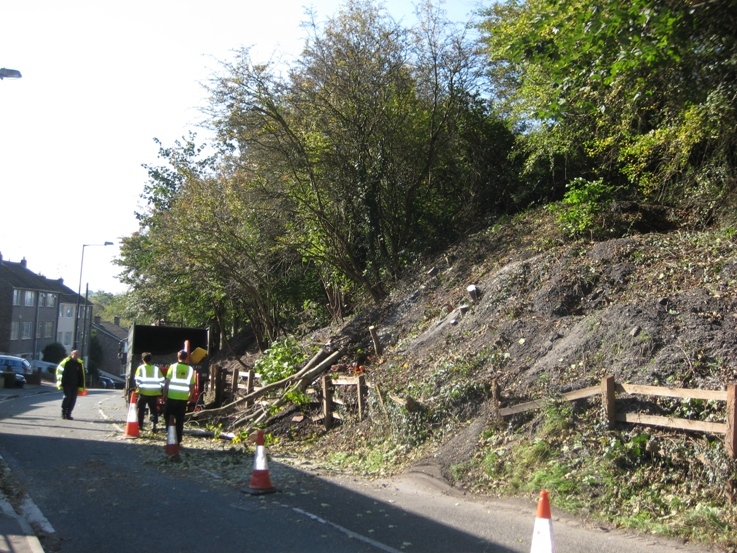 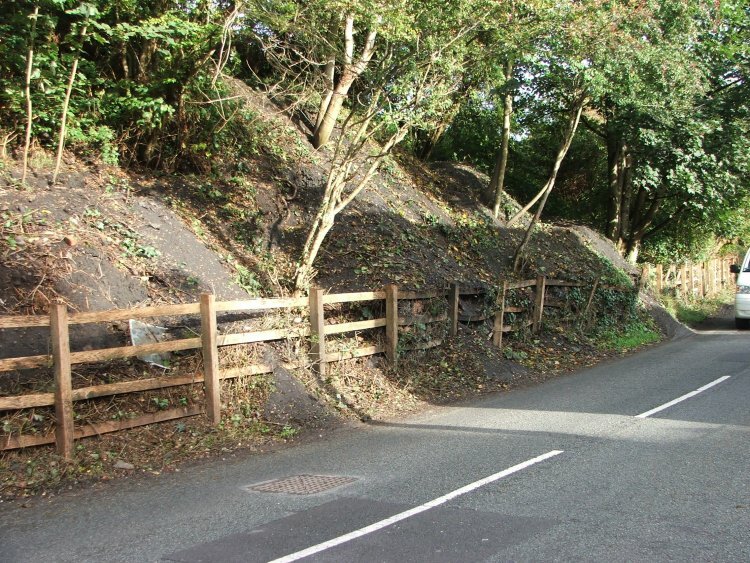 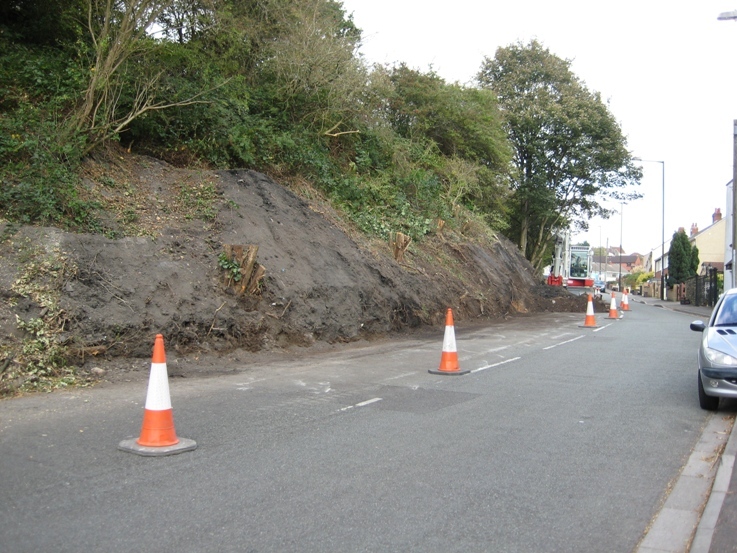 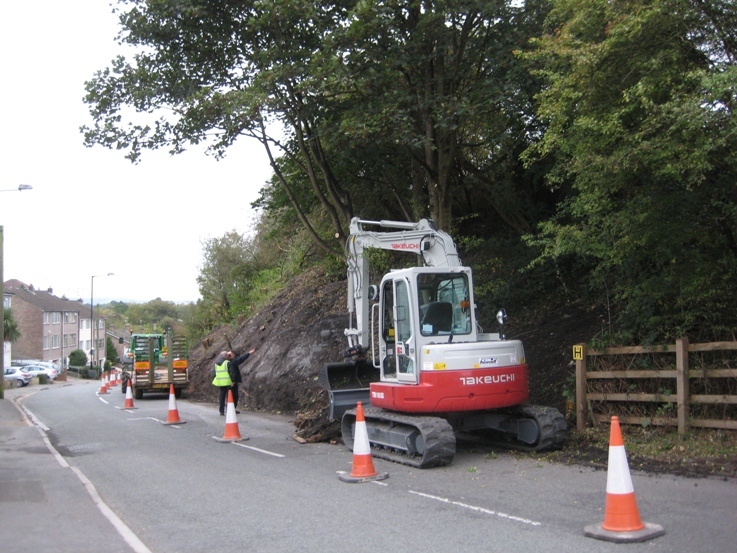 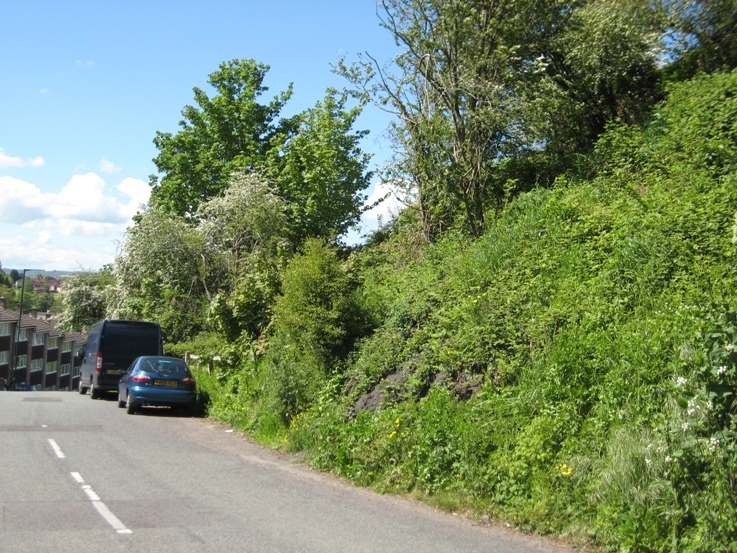 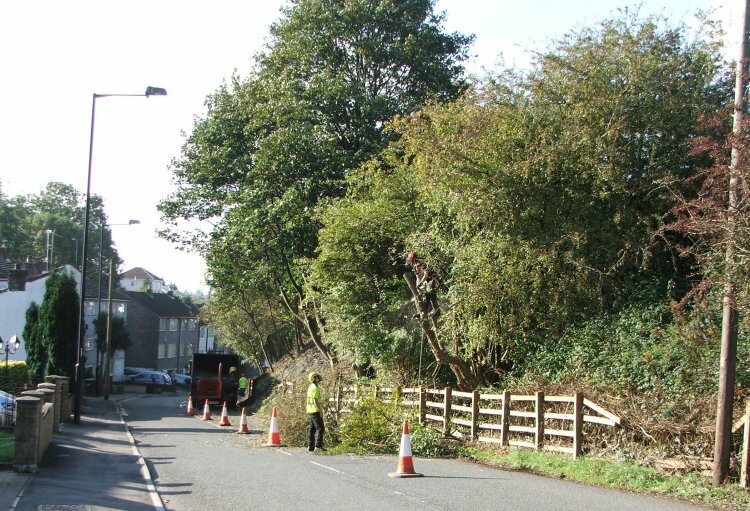 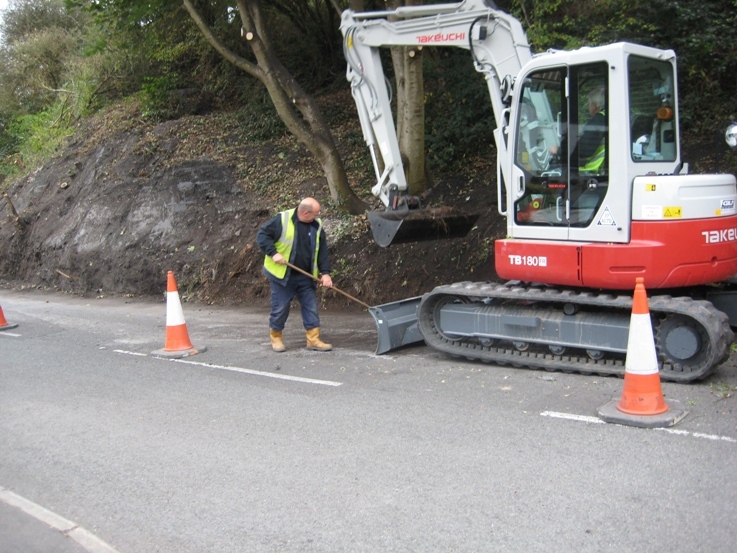 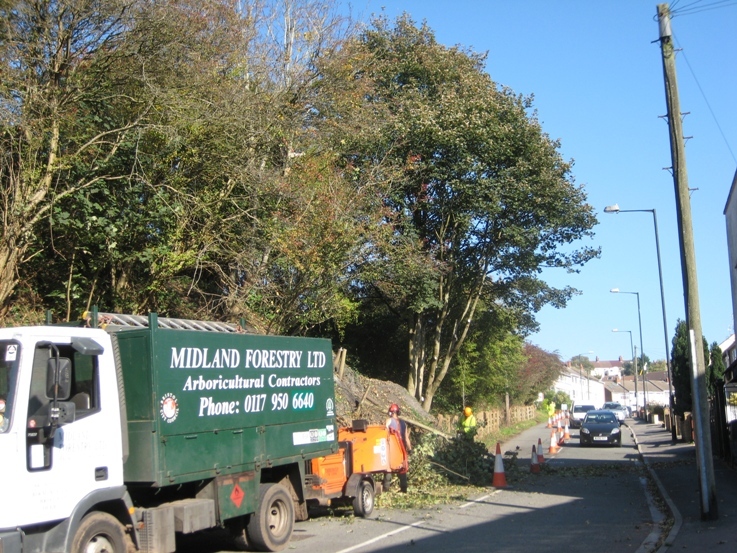 The works were required due to health and safety concerns and involved tree management including the removal of low branches, as well as reducing the surplus soil build up behind the fence along Troopers Hill Road. 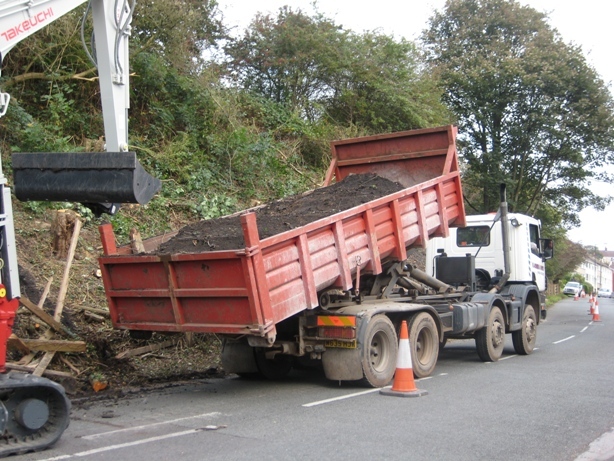 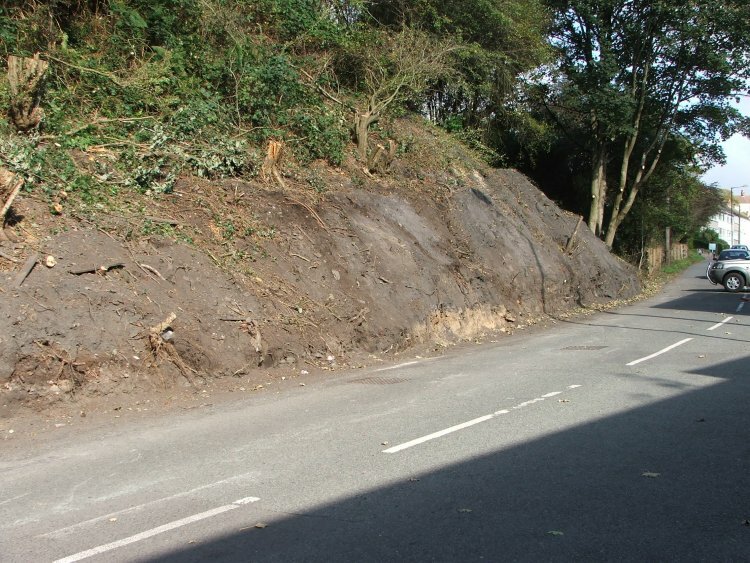 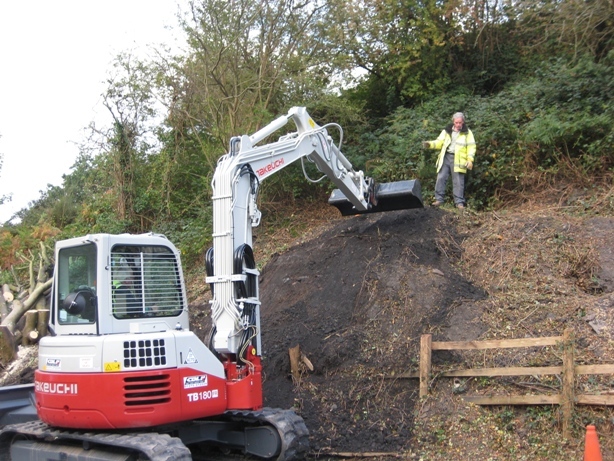 Five lorry loads of soil were removed. 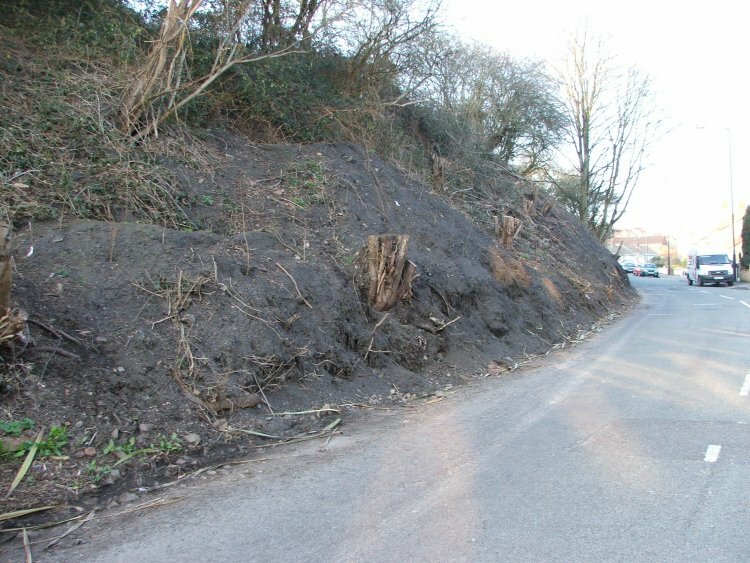 It is expected that small amounts of soil will continue to fall on the road but these will be cleared regularly. 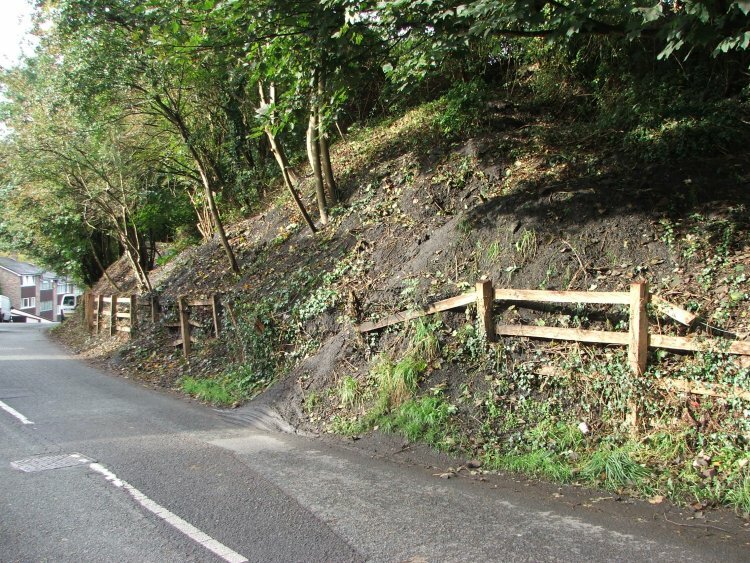 No barriers will be put in front of the banks to prevent these small falls as this would lead to a repeat of the original build up of soil and mean repeated major works in the future. 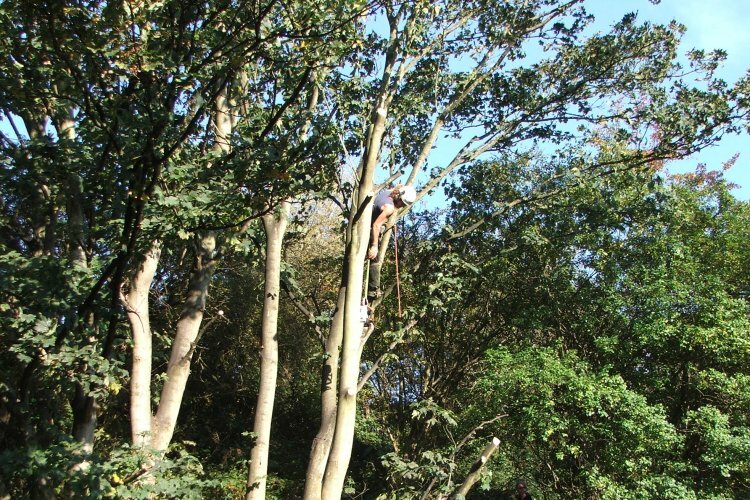 A number of the trees were cut so that they will regrow and strengthen their root systems. 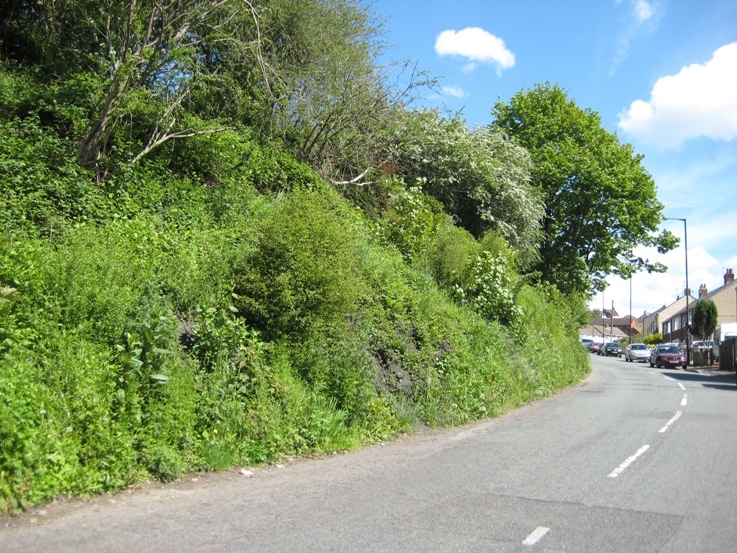 While the area of work looked very bare for several months, plants and shrubs quickly provided ground cover in the spring and summer. 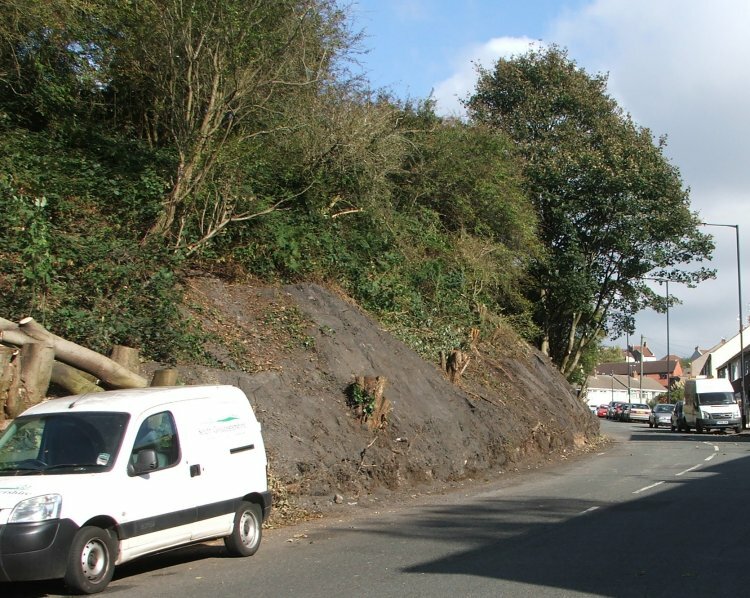 To help improve the appearance of the bank several small whips of native species were planted on the bank in February 2011 with funding from St George Neighbourhood Partnership wellbeing fund. 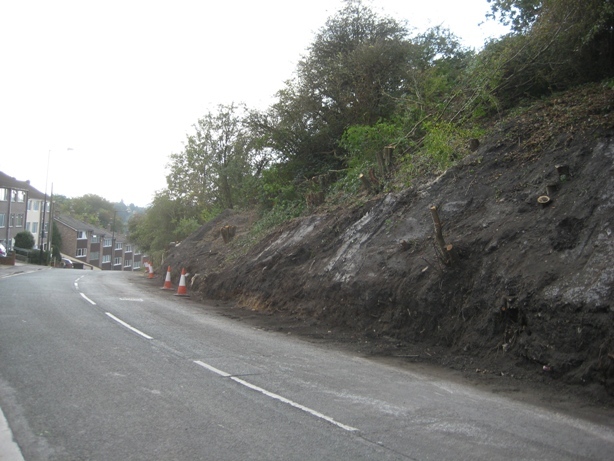 The wet weather in April 2012 helped the regrowth establish further, so that it now difficult to tell that such major works were carried out. 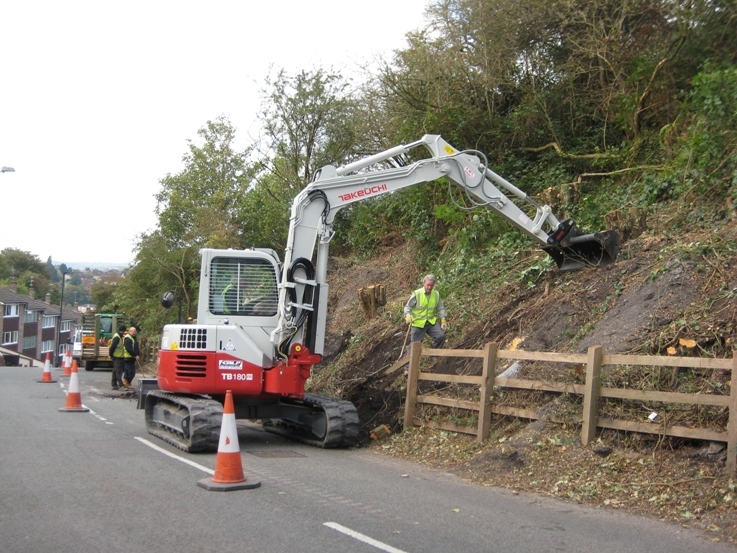 Due to the presence of badgers, the work was carried out under licence and under specialist supervision by the Badger Consultancy (Environmental) Ltd.